Invader Stu is one of the most famous of all of the Netherlands-based bloggers. Nearly every international here has seen his iconic red-headed cartoons. You might even own an ‘I survived a Dutch Circle Party‘ tee shirt. Intending to apply for a job within bus distance of London, Stuart Billinghurst accidently found himself in Amsterdam nearly twenty years ago. Now the Englishman has a Dutch wife, two children and has moved to Friesland. His most famous post might be the Dutch Circle Party Guide, but I rather like the Hair Dye Incident. Don’t venture out for food in Amsterdam without first consulting the Amsterdam Foodie, the moniker of food writer Vicky Hampton. The British-born blogger started her Amsterdam restaurant review site in 2007 and it’s grown to a small, foodie empire. She’s got a cookbook and has now written food-related articles for The Guardian and Rough Guides. She’s even contributed a few pieces to DutchNews.nl, on Christmas restaurants and North African and Middle Eastern restaurants. My favourite post is only somewhat food-related: Toilet Humour: 10 of the Weirdest Bathroom Signs in Amsterdam Restaurants. You might be more familiar with our very own Gordon Darroch from the Dutch News Podcast, but when he’s not making coalition-talk related puns, he’s got his own blog to attend to. The updates are infrequent but the writing is excellent. The Scottish journalist discusses topics in depth and has a focus on politics. His work on the coalition talks are a must-read for anyone who wants to understand what’s going on with Dutch government. 24 Oranges is a group effort based in Amsterdam which wants you to know it is not an expat blog. Instead, it’s a website which covers funny, weird and quirky things about the Netherlands in English. Canadian DJ Natasha Cloutier and Dutch web developer Branko Collin update regularly on topics ranging from local Dutch news (Cat stays stuck in tree over weekend) to the weird (Dutch man with fake Scottish accent). Amsterdive is what you get when someone with excellent aesthetic taste starts a blog. The blog is the brainchild of Ana V. Martins who describes herself as an actress who writes. The blog centres around her life in Amsterdam and focuses on arts and culture events and activities around the city. Her weekly events agendas are a great way to find something unique to do. But she also discusses her personals struggles with integration and being an international. We’ve recently featured her post The Good Old Language Struggle on the DutchNews.nl site. British-born blogger Amanda van Mulligen has found herself turning Dutch and she’s writing about it all on her aptly named blogged Turning Dutch. The mum of three writes about her own experiences of living as an international in the Netherlands and she’s got a focus on parenting. She has a positive view on being a Dutch parent, as she outlines in this post from earlier this year called 10 Reasons To Love Being Knocked Up In The Netherlands. And you can’t compile a list of your favourite Dutch bloggers without including Stuff Dutch People Like. The blog turned book turned turned spin off books is immensely popular. The content is written by Canadian Colleen Geske who has lived in Amsterdam since 2004. As the title indicates, the blog chronicles a humorous look at stuff that Dutch people like, from liquorice to home birth. Check out #51, which covers a topic that we can all agree on. 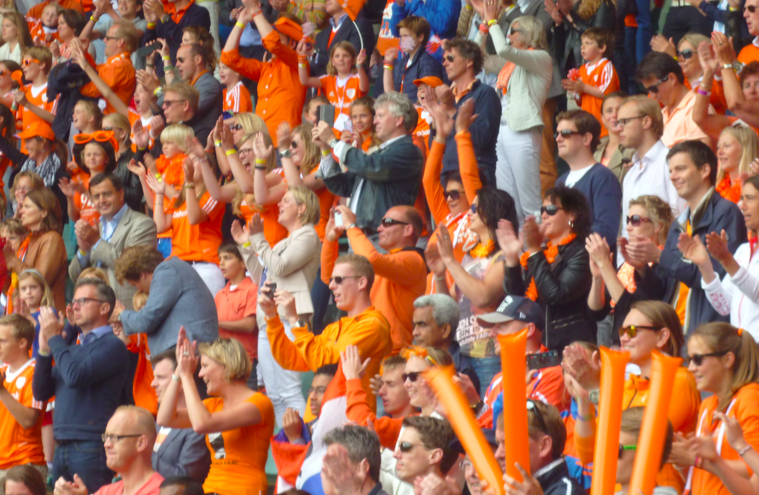 You can check out more blogs in the Dutch News blog section. There’s a lot of really talented writers in the Netherlands, on everything from coffee to parents. And if you have a blog of your own, you can submit it to be included in our list.